death-row rescue from the Floyd County shelter. When I sat down with the founder of Green Pets America (GPA), Steven Monahan, I learned quickly that nothing about this organization is basic. During this 10-year anniversary of rescuing, renewing and rehoming almost 1,000 death-row shelter animals throughout Georgia, it’s eye-opening to see the variety of good deeds the volunteers have done for the welfare of our furry friends. Green Pets America started as a simple food pantry, buying food for Papa’s Pantry, MUST Ministries, Cherokee Animal Shelter, local trailer parks and anywhere hungry pets lived. “When I first started, I asked the food pantries if they had pet food to give away, and none of them did. I worked to get pet food distributed across the county for families facing hard times who have pets. There are now 20 donation boxes across Cherokee and Cobb counties. Our mission then and now is to keep families and pets together, especially for those facing difficulties,” Monahan said. 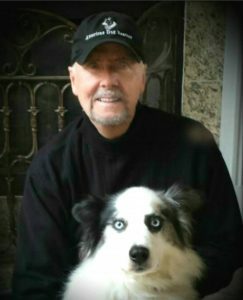 Since the beginning, they have worked in many areas of pet welfare, like working to get service dogs for children with disabilities, providing funds for medical care, spaying and neutering, educating children in our schools about how to treat family pets humanely, and, of course, rescuing and fostering. Monahan even squeezed in some time to write an animal welfare book: “Rescue Renew Rehome.” The name Green Pets was chosen to reflect the philosophy that pets are a precious resource to be sustained, and not discarded. 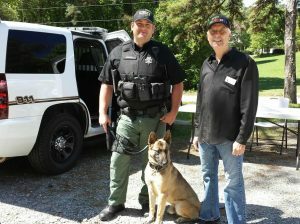 Green Pets America supports working K9s. Monahan is grateful for the support that has carried them through the first decade of service. “We are happy and blessed to celebrate 10 years of service here in Cherokee County. This is a community effort, and we want to thank the hundreds of you who have helped make Green Pets America such a great success, making our vision to keep families and pets together a reality,” Monahan said. 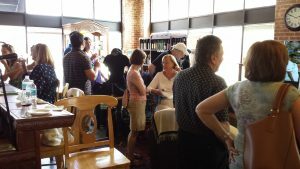 Fundraisers like this Wine & Woof event help Green Pets America grow. As GPA enters its second decade, the focus will remain on rescuing, fostering, paying veterinary bills for those who can’t afford it, and offering holistic pet foods. Monahan has researched the best brands for pets and includes a link to them on the Green Pets website (www.greenpetsamerica.org.) The links take the shopper directly to Amazon.com, where Prime members can take advantage of free shipping and help Green Pets at the same time. Green Pets America is a 501c3 nonprofit organization and all donations are tax deductible.